I recently saw the movie “Inception,” and I highly recommend it. Inception is the story of Dom Cobb, who is a special kind of thief that can enter people's minds through their dreams and thereby learn their secrets or steal their ideas. He sells his services to corporations wishing to engage in espionage. One of Cobb’s clients proposes a different task: instead of stealing ideas from a competitor, could he plant one in the competitor’s mind instead? The film calls this technique inception, and it is a very dangerous ordeal. Cobb cautions the client that planting an idea into a person’s subconscious changes their life forever. Once the idea is there, it is almost impossible to drive away. He has personal and tragic experience with this. The movie not only highlights the power of dreams and imagination, but also the power of ideas. It illustrates how challenging it is to lose an idea once it has been planted in one's mind. While much of the movie is fantasy, it really got me thinking about where our ideas come from. Also, how does one idea come and go as a thought, whereas others stick with us as the truth? Ideas truly are powerful things. The paradigms through which we view our lives and work are built by ideas. Once we arrive at an idea, or when one is planted in our mind, it’s hard to shake. It becomes almost impossible to shake when the idea is confirmed by experience. The inception point is when the idea is first formed. We get our ideas about things from a variety of places, but generally they come from personal experience or from messages we hear from others. I truly believe that ideas borne from experience are ones that tend to be more lasting and powerful. For example, my son Jack’s ideas about dogs come from his experience with our family dog, Snickers – the dog he’s known since birth. Based on his experience with Snickers, Jack believes dogs are friendly, like to get hugs, and can withstand rough and tumble play. Ellen and I try hard to tell him that not all dogs are friendly, and that he needs to be careful. So far, his experience has trumped our message because he tries to pet or hug every dog he sees! The messages we hear and the pre-conceived ideas they create are powerful as well. However, those can be more easily challenged. For instance, our views of race or diversity come largely from the environment in which we were raised and what our loved ones told us growing up. We may have very narrow views on these issues until the day we befriend someone of a different race or background. Our experiences with our new friend will eventually outshine the messages we heard growing up. Thus, an idea’s inception can come from messages or experience. If the idea comes first from a message, it can be changed by experience. 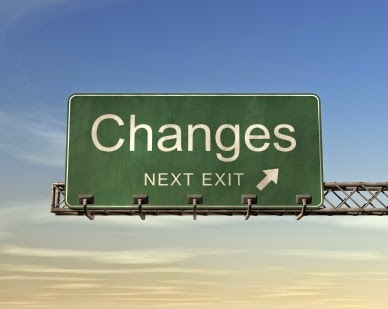 If the idea comes first from experience, it’s not likely to change from a message. It’s all about experiences. If you want to change the ideas that potential members, the campus community, or the public have about your fraternity/sorority, focus on the experiences you are giving them. It is true that many people, if they had been watching movies or TV any time in the last century, were likely to see poor portrayals of Greek-letter organizations. 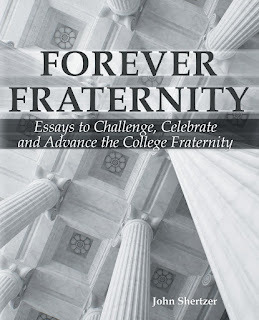 They may base their ideas of fraternity solely on this (including many potential members). It’s the inception of their ideas. The good news is that a positive experience can still trump that perspective. You can either confirm or oppose their negative ideas of fraternity/sorority life by the way you interact with them. Consider the mother of a teenage son who is about to enroll at a university. She takes her son to visit the campus. During their visit, they decide to drive by some of the fraternity houses. There is trash everywhere – red solo cups, beer cans, clothes, broken chairs, glass, etc. They then go to eat at a local restaurant and are seated next to a group of four fraternity guys. During lunch, the guys swear, make inappropriate jokes, make inappropriate noises, and are dressed like they just peeled themselves up off a sticky beer-soaked floor. The inception of her ideas about fraternities were the experiences she had. The movie confirmed these experiences and made the ideas more powerful. Consider someone else - the mother of a teenage daughter who is about to enroll at a different university. She takes her daughter and her infant son to the campus for a visit. Driving through the town, they notice a group of sorority women doing yardwork at an assisted living home. After a while, they decide to go get something to eat at a fast food restaurant. The line is really long and the infant son his wailing his head off. The mother is getting tired and tense. A group of three sorority women standing in front of her in line tell her to go ahead of them. One of the sorority women plays peek-a-boo with the infant and gets him laughing. Another tells the mother how cute her little boy is. The mother and her daughter go home that night, and while flipping channels, come upon the TV show Greek. This episode portrays some sorority women as snobby and elitist. The mother laughs a bit, changes the channel, and tells her daughter that she thinks she should look into joining a sorority. After her experiences, no fictionalized portrayal of sororities was going to affect her ideas. Her inception point was based on experiences, and thus too powerful to alter. The sorority community had a new advocate – and all they did to earn it was live out their values. So now, recruitment season is upon us. Fraternity men and sorority women all over North America will be telling potential new members all the wonderful things about their organizations. And none of it matters – unless, the experiences match the messaging. If I am a potential new member, you can tell me that you are an organization of gentlemen who show the greatest respect to women. So why do your T-shirt designs say otherwise? Why did you invite me to a party with strippers? Why were you proud to show me the award you give weekly to the brother who hooks up with the most women? In my fraternity travels, I met many men and women who belonged to Greek-letter organizations that I had never heard of. They became my standard for how I perceived that organization. They became my idea of that organization. It’s an awesome responsibility, one which you need to accept. For the new recruits you are meeting, you may be the first Theta Phi Alpha they have ever met. Or Kappa Kappa Gamma. Or Delta Chi. Or Phi Mu Delta. You are planting the idea in their mind of what your organization is all about. You are their first point of inception. But, that’s not enough. It’s your actions that make the idea take hold. If we recognize that, then we also have to accept that the problem is not the media, film, or television. It’s us. We will never be able to get into people’s subconscious like Cobb does in Inception, and change their thinking from the inside. What we can do is give them an inception point that proves to them who we are and what we stand for. We give them an experience that forever alters their view for the better. We show them the true idea of fraternity or sorority.